Suburban train passengers may soon get a Rail Card in place of monthly season tickets which they can also use for some retail therapy. The public sector transporter is in talks with 31 banks to firm up the co-branding proposal, a senior Railway Ministry official said. An estimated 1.1 crore passengers use local trains daily across the country. According to the plan, there will be three types of Rail Cards – gold, silver and platinum. While the silver card will be for monthly pass holders, gold cards will be issued to passengers opting for six-month duration pass. Platinum card is meant for year-long pass holders. The Rail Card will be launched in Mumbai as a pilot project before the facility is extended to other places. Nearly 7.5 million commuters use suburban train service in Mumbai every day and is called the city’s lifeline. 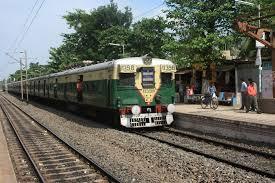 Suburban train service is a key mode of transport in Kolkata and Chennai as well. Indian Railway has already launched a mobile application for paperless unreserved tickets for suburban system. Offering Rail Card replacing monthly pass is a step further towards providing more facilities to passengers, he said.